As we reach the end of 2016 my colleagues and I are looking back at over a quarter of a century fighting for preventive healthcare. Like anything else that is worth striving for, we know that important battles are not won overnight. So our work involves consistently carrying the banner for what is right, and teaching the world that the prevention of diseases is now possible. Fortunately, the number of people who are active in helping to promote natural healthcare approaches – informing their fellow citizens, saving lives in their communities, and taking the first steps towards building a new preventive healthcare system – is growing rapidly. So much so, in fact, I am now convinced that the work my colleagues and I started a quarter of a century ago will be successfully completed within my lifetime. Before long, countries will begin to embrace natural preventive healthcare as the only effective way they can truly serve the health needs of their people. When I was studying medicine 35 years ago, heart disease was essentially considered to be a fate sent from heaven. It was an accepted cause of death, and nobody asked questions. And of course, cancer was a certain death verdict. Looking back at that state of affairs, our accomplishments – developing the first science-based therapy for the natural reversal of cardiovascular disease, and the first natural scientific approach for preventing, and in some cases treating, cancer – are enormously significant. No other organization or team of researchers can claim this. Over the years, my colleagues and I have made many contributions in the area of cardiovascular disease. But our latest one is particularly significant as it deals with the conventional treatment of this disease, specifically with the use of calcium channel blocking drugs. The cells of the heart have tiny channels that enable an exchange of atoms and molecules from the outside of the cell to the inside, and vice versa. So calcium channel blocking drugs prevent the entry of calcium atoms into the cell. We were interested in the question as to whether they also block any other types of molecules from entering. So we began by looking at vitamin C and, astonishingly, were able to show that calcium channel blockers inhibit the entry of this nutrient as well – one that plays a particularly critical role in preventing cardiovascular disease. My colleagues and I then tested what would happen if we measured the collagen production of heart cells when exposed to calcium channel blocking drugs. We found that long-term intake of these drugs can cause a chronic vitamin C deficiency, thus disrupting the production of collagen. In the case of Nifedipine, a drug that is frequently prescribed in cardiovascular disease, the majority of the vitamin C that was surrounding the cell did not reach its interior. So we now know that supplementary vitamin C should be recommended for anyone who has cardiovascular disease and is taking these drugs. Of course, it has been known for 20 years that calcium antagonists cause side effects. But until now nobody bothered to properly examine the key mechanism behind this – particularly, of course, the pharmaceutical industry, which has made billions of dollars from selling these drugs. What is particularly disconcerting about this is that it once again illustrates the key principle behind the pharmaceutical ‘business with disease’. If you have a heart problem and go to see your doctor, the chances are you will be prescribed calcium channel blocking drugs. But if you take these pills, you are not really helping to prevent heart disease long-term. You are creating the illusion that you are fighting this disease, but at the cellular level you are actually aggravating it by causing a vitamin C deficiency. This is precisely the business model of the pharmaceutical industry. It’s a mass deception, creating a false impression in the minds of patients that they are being helped by taking calcium channel blocking drugs. So in carrying out this work we have very clearly identified that the cardiovascular epidemic is a primary target of the pharmaceutical ‘business with disease’. Crucially, however, we also identified the solutions. We found that when water-soluble vitamin C is given, collagen production increases. And with an increasing concentration of vitamin C, more collagen is produced. The fat-soluble form of vitamin C, ascorbyl palmitate, is particularly effective. Here, the concentration needed to almost completely restore production of collagen is only one-twentieth of that for the water-soluble form of vitamin C. So for preventing damage from calcium channel blocking drugs, ascorbyl palmitate is especially helpful. But cardiovascular disease was not the only area where we made progress this year. 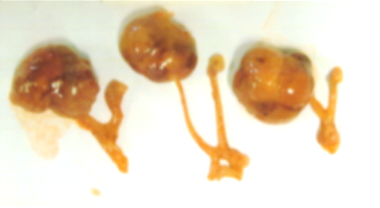 We have also done further in vivo studies in the area of cancer. In research using a particular type of female mouse, we found that only 1 out of 12 of those on a micronutrient supplemented diet developed an ovarian tumor when challenged by cancer cells. 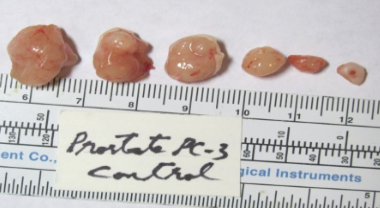 In the control group, however, where the mice were merely getting an ordinary diet with no supplementation, all of the challenged mice developed ovarian tumors with lung metastases. In the control group, where female mice were given an ordinary diet with no supplementation, all of them developed large ovarian tumors and lung metastases. Only 1 out of 12 female mice that were given a diet supplemented using the micronutrient synergy approach developed ovarian cancer. No metastases were detected. We got similar results studying prostate cancer. Here, animals on a normal diet developed large tumors, but those on a diet supplemented with micronutrients had much smaller tumors. 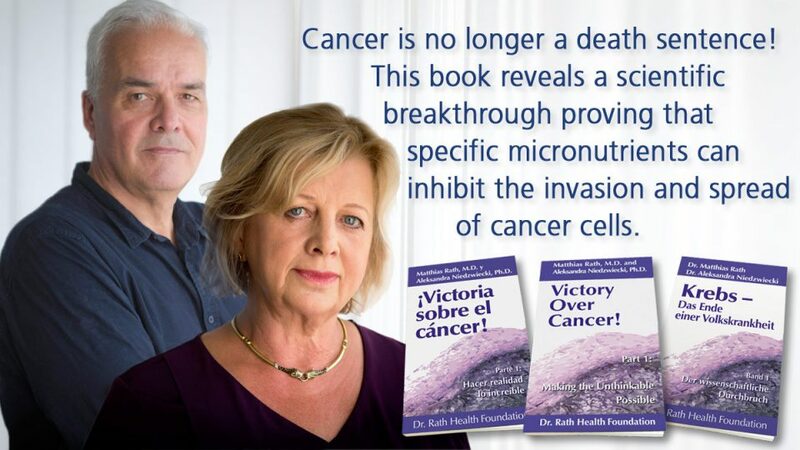 So what these results show is that more and more cancers are becoming extremely controllable using micronutrients. The message here is very clear. Micronutrients are not just effective for therapeutic purposes, where cancer has already developed. Instead, at the cellular level, they have a regulatory function and can prevent the development of the disease. This is the great advantage of the Cellular Medicine approach, compared to pharmaceutical medicine. 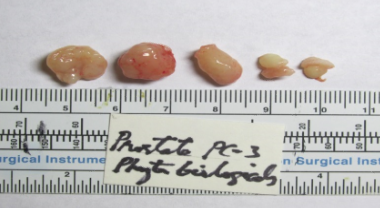 In the control group, where male mice were given an ordinary diet with no supplementation, they developed large prostate tumors. Male mice given a diet supplemented using the micronutrient synergy approach developed much smaller tumors. 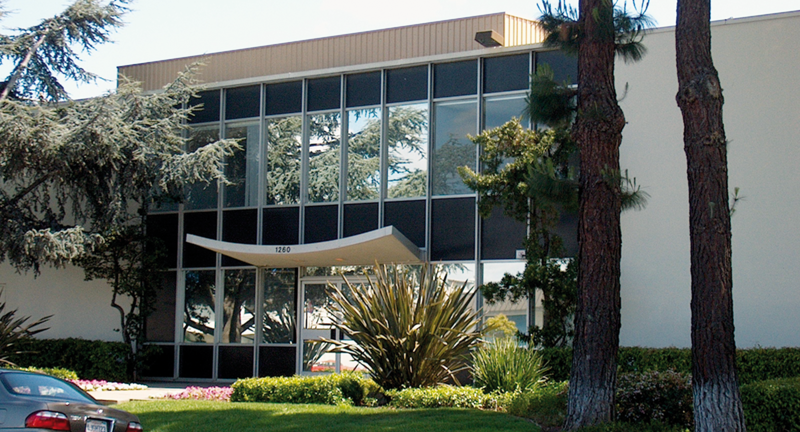 You may have read or heard about our previous work in the area of infectious diseases. 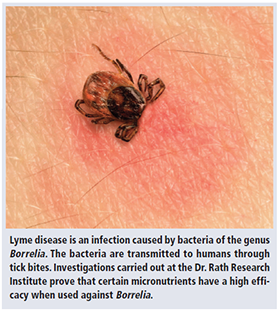 Recently we have been conducting research on Lyme Disease (Borreliosis). One of our researchers, Dr. Anna Goc, has shown that micronutrients can effectively inhibit not just the early stages of this disease, but also its advanced forms where antibiotics usually fail. She has found a specific combination of micronutrients to be very successful in achieving this. Significantly, therefore, we now have the results from our first clinical pilot study, where we tested this micronutrient combination in patients suffering from long-term Lyme Disease infection. 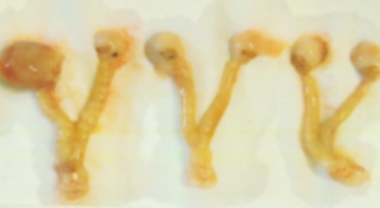 These patients were in the advanced stages of this disease, with many debilitating symptoms. Impressively, 64.7 percent of them experienced significant improvements, 11.8 percent had modest improvements, and only 23.5 percent saw no improvement. Considering the fact that, when using conventional therapies, improvement in the advanced stages of Lyme Disease is essentially unheard of, these results are highly significant. The group of doctors who conducted this pilot study for us concluded that, because the improvements were significant to excellent in almost two-thirds of the patients, our synergistic micronutrient therapy should be part of every therapeutic approach to Lyme Disease in the future. We are conducting additional studies in this area and are confident that not only will these positive results continue, but that our approach will one day become the baseline therapy for this disease. There are two main areas where we are developing communication strategies for our scientific results. The first involves reaching the scientific community, the second relates more to educating the people. For the scientific community, if you go to PubMed, the world’s largest online medical library, and conduct a search using my name and that of my colleague Dr. Aleksandra Niedzwiecki, you will now find over one hundred scientific studies. This achievement speaks for itself. If you want to know what it is that sets the Dr. Rath Research Institute apart from other organizations in the field of natural health, this is it. Towards educating the people, we are using the technology of the 21st century to develop three distinct approaches to online education. The first approach takes the form of a cutting edge online health education course that is enhanced with the use of 3-dimensional pictures. This means you can browse through our Cellular Health Education (CHE) course like a real book, but you can also manipulate the pictures with your fingers. For example, you can make the heart larger, or turn it around and examine it from a different angle. It’s a fantastic tool and I encourage you to take a look at it. The second approach relates to our new Online Library of Nutrition and Natural Health. While PubMed is an excellent online medical library, it is intended for medical professionals and contains a lot of scientific terminology. It also contains negative studies where biased teams of researchers were determined to find no positive effects from micronutrients at all. So we decided to create an online library containing studies that clearly demonstrate the health benefits of natural approaches. And most importantly, our online library is written in such a way that anyone can understand it. Work on the development of this library is ongoing and will continue throughout next year. Our third approach relates to the Online Journal of Cellular Medicine and Natural Health. This contains fantastic new research results not just from our own scientific institute, but also case studies from therapists working in the field of natural health; reports on community health projects; and other articles contributed by people working in the field of natural health. If you have something you would like to contribute to this new online project, we’d be delighted to hear from you and discuss the possibilities. As I have always said, good health is not given to us freely, we have to fight for it. This means we have to remove the various political roadblocks that are being placed in our way by lobbyists working for pharmaceutical interests. Over the years, the achievements of my colleagues and I in the field of natural health have quickly been understood by these interests, who, time and again, have taken action to try to counter them. Beginning with my publication of the Solution to the Puzzle of Human Cardiovascular Disease with Linus Pauling in 1991, the responses of political lobbyists, working on behalf of the Drug Cartel, were deliberately aimed at destabilizing our work. The reactions of these interests were particularly visible after we publicly announced our first cancer breakthrough in the USA Today newspaper on 8 March, 2002. Only days later the Brussels EU Parliament passed the so-called Food Supplements Directive in Europe, which essentially outlaws various forms of vitamins and minerals in supplements; prohibits any mention that an ordinary diet cannot provide sufficient quantities of nutrients; and mandates the setting of restrictive maximum levels for supplementary vitamins and minerals. 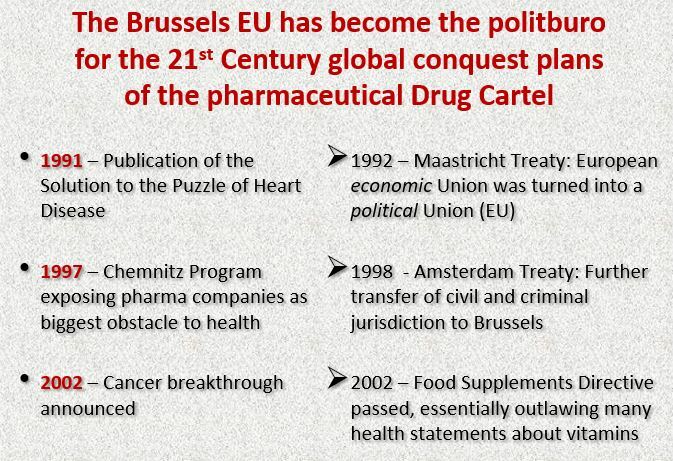 Considering that the Brussels EU has become the politburo for the global conquest plans of the Drug Cartel, every battle that it loses represents an important step towards our creation of a world of health, peace, and social justice. This year, of course, through the Brexit vote, we witnessed the refusal of the British people to go along with the plans of this undemocratic political structure. Inevitably, we were told that the people who voted for Brexit have political views that are on the far-right of the political spectrum, and that they were influenced by lies about the Brussels EU. However, these arguments underestimate the intelligence of the people in Great Britain. They also ignore the fact that concerns about the undemocratic nature of the Brussels EU construct are indeed legitimate. When we look at Brexit, and also the election of Donald Trump in the United States, we need to understand that, among a majority of people, there is now a broad dissatisfaction and disillusionment with the political establishment. And this observation applies not just in Great Britain and the United States, but almost everywhere in the world today. Unfortunately, however, among many disenfranchised people, there is as yet little understanding concerning the root causes of their situation. This is because, for decades now, the elites have ruled them not with truth but through deception. Moreover, this state of confusion is being abused by the political ‘far right’ and its heinous gospel of hatred and racism. So in this situation we have a responsibility to stand up and point out the root causes of these problems. Clearly, many of them can be found in the fact that one of the key areas of society, the healthcare sector, has been taken hostage by an unscrupulous cartel: the pharmaceutical ‘business with disease’. Instead of providing health to the world, the gangsters behind this cartel are delivering diseases. We therefore need to provide orientation and perspective to the people in our communities, based on a clear analysis of the facts. Over the years I have said many times that, in taking on this role, we are neither on the political left, nor the political right. 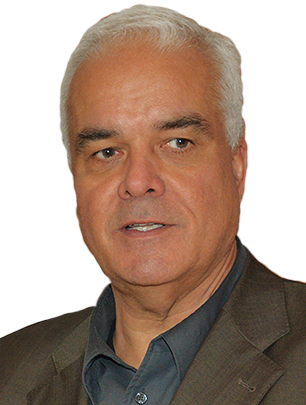 We are simply people who analyze problems – in the health sector as much as in the political sector. Most importantly of all, we also provide solutions. We have already identified the root causes of many diseases, micronutrient deficiency being the most important one, and exposed health illiteracy – the fact that the people of the world are not allowed to know the truth about health. Health illiteracy is a major factor in the continuation of diseases, as well as in the devastating social and economic burdens that result from them. By exposing the true causes of diseases, we simultaneously therefore reveal their economic and human consequences. What my colleagues and I have been doing over the past quarter of a century is so significant, so noble and world-changing, that for me there is nothing more important than spreading the truth that heart disease, cancer, and infectious diseases have new scientific answers that can save lives. Our ultimate goal is to build a preventive healthcare system at the global level. Towards achieving this we already hold answers to some of the world’s most burning problems. Hunger, malnutrition, disease, illiteracy, poverty, unemployment, as well as the increasing disillusionment of young people, can all be solved. Freeing up the vast amounts of money that are being wasted by our current disease-oriented system of healthcare will go a long way towards accomplishing this. You might think the United Nations is, or should be, tackling these problems. In terms of the propaganda it puts out, you could certainly be forgiven for assuming this. Take its so-called ‘Millennium Development Goals’, for example, which were supposed to be reached by the year 2000. As we all know, it failed miserably to achieve them. There are several reasons for this. Firstly, the United Nations doesn’t represent the people, it represents the status quo. In the area of health, its World Health Organization (WHO) essentially functions as a public-private partnership. The pharmaceutical industry effectively sits on the board of the WHO and is therefore hugely influential in determining its policies. Furthermore, because the United Nations represents special interests, rather than the people, it does not have the correct analysis of the root causes of the world’s problems. As a result, it inevitably doesn’t have the right solutions either. Through our global Movement of Life project, which is coordinated by the Dr. Rath Health Foundation, we are actively working on solutions for the developing world. 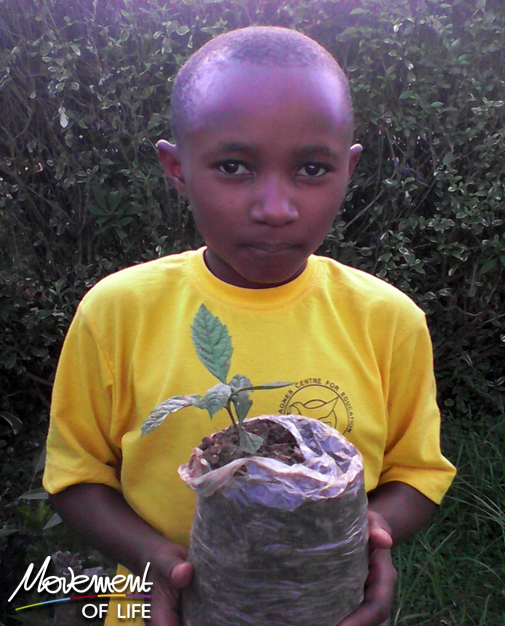 A particularly successful aspect of this over the past 12 months has been a school and community gardening project carried out in Uganda. The conducting of nutrition and health education has been central to the success of the Ugandan team’s wonderful work. 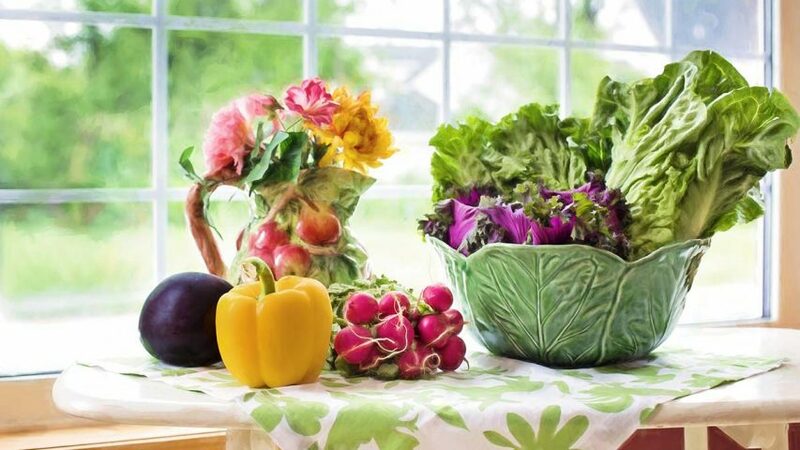 They understand, just as we do, that teaching people which plants to grow, and which foods provide the best sources of micronutrients, is essential for fighting diseases. All of us who are active in these key areas bear a huge responsibility that goes far beyond our own lives. Through working together towards bringing positive change to our planet, I am convinced that we have a real chance to make a better world.